20 So he blessed them that day, saying, “By you shall Yisrael invoke blessings, saying: Hashem make you like Efraim and Menashe.” Thus he put Efraim before Menashe. As dictated by this verse, to this day Jewish parents bless their sons each Shabbat with the words, “May Hashem make you like Efraim and Menashe.” Out of all the biblical heroes possible to emulate, what is special about Efraim and Menashe? 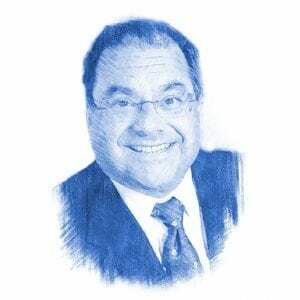 Rabbi Shlomo Riskin, Chief Rabbi of Efrat, explains that the two sons of Yosef play a very significant role in the formation of the Jewish people. They are the first of Avraham’s family to be born in Egypt, yet despite their physical disconnection from Eretz Yisrael, they remain loyal to the traditions of their ancestors. Efraim and Menashe, therefore, represent a key to the survival of the Jewish people and their return to Israel in the future. For this reason, they are chosen as special role models for the Children of Israel. I like this tradition of naming and prophetic words over the son's of Joseph.